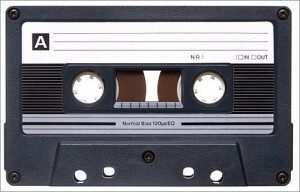 You are currently browsing the archives for the Free Music category. The New Music Tuesday 3 for October 28, 2014. Killer Mike and El-P are back with the best hip hop album of 2014 thus far. 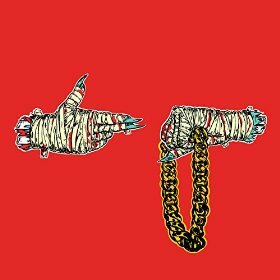 Surprisingly released last Friday, RTJ2 is everything the duo’s first album was and then some. The beats hit harder, the lyrics are broader, and the imagery is even sharper. This time around, though, they’ve added some guests to the mix (most notably Rage Against the Machine’s Zack De La Rocha and Gangsta Boo) who do an excellent job adding to the album without stealing focus from the guys who brought them there. Any list implies criteria, but let’s eliminate some obvious candidates. This is not a list of the most original, or significant, or skilled, or successful releases of 2013. There is so much that I simply did not listen to that those kinds of judgments are out of reach (for me as for everyone else). Instead, I asked myself: if I were to be separated from my music for a month or two and could only keep 20 albums from my collection with me, all released in 2013, which would I choose? This approach keeps me from adding or skipping things because I somehow feel I ought to. Worthy or not in the ears of the world, this is what I liked most from this year’s releases. Listen in; who knows, you might like it too. Here as elsewhere, 2011 finished with the customary best-of-year lists, inevitably confronting the dedicated music lover with large numbers of as yet unpurchased albums said to be the cream of the crop; catching up would cost a small fortune, even if 2012 held no new promises. Well, 2011 also saw the release of some excellent albums offered for free download, and a few of the Music is Good authors have put together a list of their favorites across several genres. All of the albums listed below can be downloaded either for free or on a “name your own price” basis (donations encouraged, but with no minimum) from the artists or labels or at bandcamp. You can also stream some of them below. Our thanks to these artists for making such good music freely available. Bang on a Can, founded in 1987, is a classical music collective based in New York City. They are likely best known for their live performances (and recordings) of Brian Eno’s Music for Airports or Terry Riley’s In C, but they have also performed the operas of Harry Partch and provided grants to newer artists like David Longstreth of Dirty Projectors. 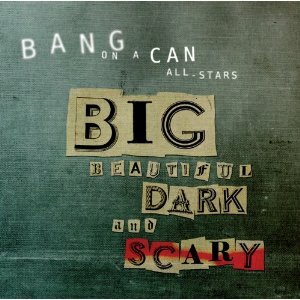 Now as Bang on a Can turns 25, they are offering their new album Big Beautiful Dark and Scary for the cost of a memory, or simply letting them know how you heard about them. Can’t beat that price whether you’re already a fan or haven’t heard of Bang on a Can until this very moment. Just go here, enter your name, e-mail, and memory, download, and enjoy! Thanks to Doofy over at emusers.org for pointing this out.